The parents, teachers, and other school stakeholders gather for the first PTA assembly inside our school campus. 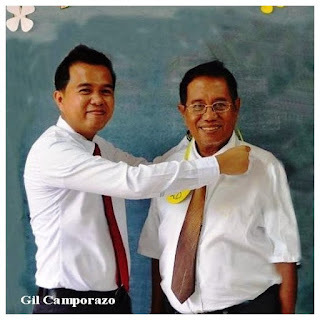 As a school head of Balabag Elementary School, La Carlota City, I share to them the eternal principles behind a father. This is a reminder to all of them that the coming third Sunday of the month of June is a special day. It is Father's Day. Father is always used when we say our prayer. We address our heavenly Father for He is the great provider. Father, therefore is a divine, sacred title for that matter. It is no joke to be addressed as a father. Likewise, it should be respected in a most reverent manner. With this special occasion for a father, I am also reminded of the eight values which my late father has taught and influenced me when he was still living. One of them is "taking time out for God". 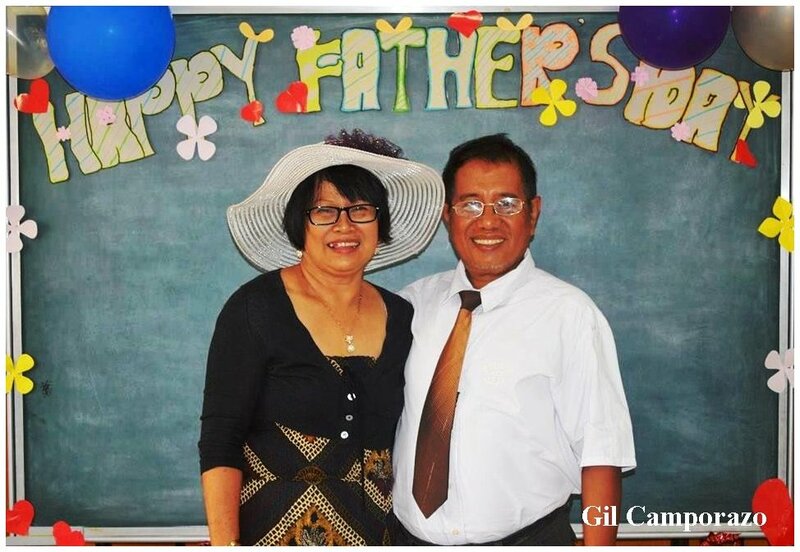 I want to emphasize to them the importance of a father through an acrostic of FATHER, the eternal principles as I consider them as what an idea prompted me to inculcate to the minds of the parents, the teachers, and the rest who were present at that time of assembly in school. A father builds his own family. He is the head of the family, providing all the needs of the members of his family. He has to secure them spiritually, economically, and socially. For better, for worse, he has to protect his family. 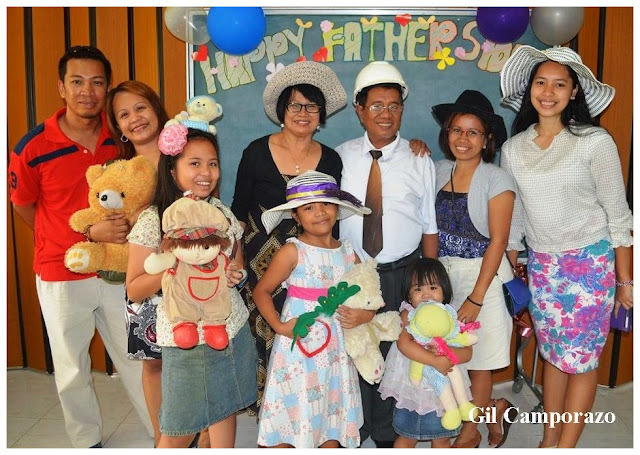 A father not only head his family but he administers to the necessities of the members of his family. The duties and responsibilities appended to him as a father, he dutifully, diligently do them without reservaion, without hesitation. He should administer his family of the stewardship which the Lord has given him. A father has to value the job of a teacher for teaching is no greater work as what Jesus did exemplify when He was doing His ministry here on earth. He should teach his children the correct principles according to the scriptures, according to the words of God. He should teach also the ordinances which his family members have to observe piously. He should teach them the first principles and ordinances of the Gospel like faith, repentance, baptism, and the gift of the Holy Ghost. A father is not only building a family for his wife and children and also a house or shelter for refuge in good times and bad times, but he should create a home where there is love. Through his teaching, through his diligence and with the help of his wife, he could make his home a bit of heaven. Leading his family every Monday night for a family home Evening, he could for sure make his family a home. Bearing always in mind that family is forever, he could lead his family by rearing his children according to "the nurture and admonition of the Lord" and bringing them together with his wife to the temple of God for time and eternity through eternal marriage and/or family sealing. Family sealing is an eternal principle in which every family has to observe. Thus, it makes family forever. Father is the leader of the family and he is our first teacher. It's great to have a good role model who oversees the home and supports our needs. A very dignified way to show to the whole world about being a Father. Parents must have done the obligation to their children while they're growing up. Happy Father's Day Sir Gil. It's nice of you to impart these knowledge on being a father that came from your father and I'm sure was boosted by your experience as a father.